At the Indo-Pacific Business Forum on July 30, U.S. Secretary of State Mike Pompeo discussed the role business engagement is set to play in the U.S. strategy for the Indo-Pacific region under the Trump administration. 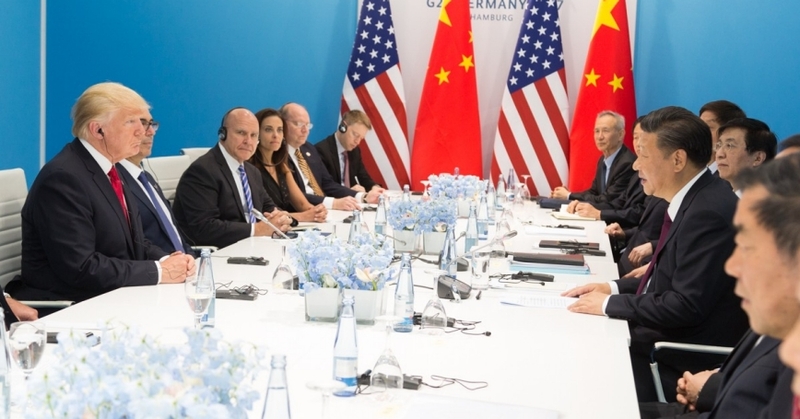 Commentary contrasting the proposed U.S. initiatives in the areas of digital connectivity, energy, and infrastructure with China's massive Belt and Road Initiative highlighted the increasingly competitive dynamics at play in the U.S.-China relationship, and the challenges facing U.S. allies and partners in the region. Over the past decade, the responses of U.S. allies and partners to China's rise have suggested that they viewed Washington as an indispensable security partner even as they prioritized stable relations with Beijing and became more closely linked to China economically. As a result, many countries sought to preserve some maneuvering room by positioning themselves to benefit from constructive ties with both China and the United States. Yet in capitals throughout Asia, China's rising power and influence, growing U.S.-China security and economic competition, and uncertainty about the future of America's role in the region are leading to debates about the sustainability of this longstanding approach to managing ties with Washington and Beijing. Many countries in the region were effectively hedging their bets in recent years. They calculated that they could benefit from growing economic ties with China while relying on the United States to sustain a position based on economic and diplomatic engagement and a military presence and network of security ties conducive to balancing China's rise and maintaining regional stability. However, China's more assertive foreign policy under Xi Jinping is increasingly sharpening competition between China and the United States. Doubts about the reliability and predictability of the United States under President Donald Trump are also generating uncertainty, and in some cases sparking debate about the sustainability of longstanding approaches to managing ties with the two most powerful and influential countries in the region. 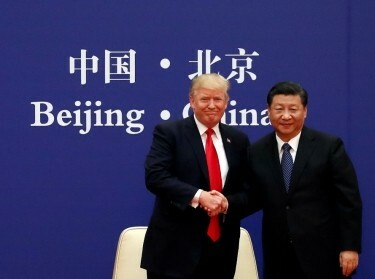 Indeed, interviews with officials, analysts, and scholars from several countries, including Japan, Australia, and Singapore, suggest that these more recent developments and uncertainty about future U.S.-China dynamics could pose major challenges to their ability to continue striking a balance that enables them to maintain beneficial ties with both China and the United States. Moreover, many expect rough sailing ahead. Some government officials and scholars in the Indo-Pacific believe the regional security environment is entering what could be a highly tumultuous period. 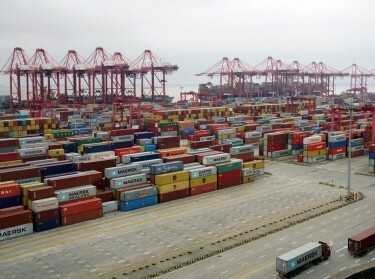 As a result, leaders, diplomats, and analysts in a number of countries in the region are becoming concerned that they might find it more and more difficult to maintain productive ties with both China and the United States, and even that they might ultimately have to rethink their own strategies if the U.S. becomes a less predictable and reliable partner. Recent polling shows that under Trump, confidence in the United States has dropped sharply in a number of key countries. In Australia, for example, the 2018 Lowy Institute Poll found that although support for the alliance remains strong, trust in the United States has fallen to the lowest level in the poll's history. Moreover, declining confidence is reflected in other polls as well, such as recent Pew polling that highlights widespread uncertainty about U.S. leadership. At the same time, however, many officials, scholars, and analysts remain optimistic about the prospects for U.S. engagement in Asia. They also highlight the importance of opportunities for cooperation among other like-minded countries in the region, which need not rely on Washington's participation, as exemplified by the other TPP countries moving forward without the United States. The concerns that are rising to the surface in these policy debates have important implications for the United States for a number of reasons, not least of which is that many of the key advantages Washington enjoys in a strategic competition with China depend on strong relationships with U.S. allies and partners. To be sure, close U.S. allies like Australia and Japan can fill an important role in leading regional efforts, but they are imperfect substitutes for consistent, sustained U.S. engagement across the full range of diplomatic, economic, and security issues in the region. 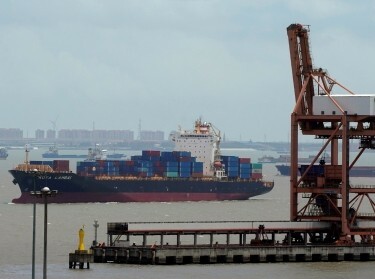 As China attempts to strengthen its position in the Indo-Pacific at the expense of the United States, Beijing will certainly do its utmost to take advantage of any opportunities presented by concerns about the strength and sustainability of the U.S. role in the region. Consequently, Washington is likely to need to do more to ensure it fully understands the perspectives, and potential choices and responses of U.S. allies and partners, as they will have important implications for the evolving regional security order and for the diplomatic, economic, and security interests of the United States. The United States continues to maintain crucial diplomatic, economic, and security interests in the Indo-Pacific, and if it is to protect those interests, it must rise to the challenge of China's more assertive approach to expanding its influence. One area where some allies and partners indicate that the United States is sending a relatively well-received message right now is security assurances. The U.S. military presence is still widely regarded as a crucial force for stability; and many in the region see defense relationships with the United States as a source of strategic predictability. At the same time, however, there are still questions about issues such as how much U.S. policy in Asia focuses on North Korea, and Washington has sometimes inadvertently reinforced these concerns, such as when it prioritized a trip to Pyongyang and postponed the “two-plus-two” dialogue with India. U.S. allies and partners are also waiting to see how the United States will define and implement its Indo-Pacific strategy. To be sure, we heard a good deal of curiosity over this new term—and there are concerns about whether expectations will exceed what it is ultimately able to deliver, as some suggested was the case with the “pivot” to Asia under the Obama administration. Relatedly, some in the region are worried that elements of the U.S. approach, such as the emphasis on reviving the “Quad,” a coalition of like-minded democracies consisting of the United States, Japan, Australia, and India that Tokyo first proposed about a decade ago, will look too much like an attempt to create a bloc aimed at containing China. If Washington is to most effectively leverage the advantages its alliances and partnerships offer in a long-term competition with China, it could consider finding ways to further strengthen its diplomatic and economic engagement as well as to mitigate these lingering concerns. Michael S. Chase is a senior political scientist at the RAND Corporation and an adjunct professor at Johns Hopkins School of Advanced International Studies (SAIS). Mara Karlin is an associate professor of the Practice of Strategic Studies at SAIS and a nonresident senior fellow at the Brookings Institution. This commentary originally appeared on The Diplomat on August 7, 2018. Commentary gives RAND researchers a platform to convey insights based on their professional expertise and often on their peer-reviewed research and analysis.